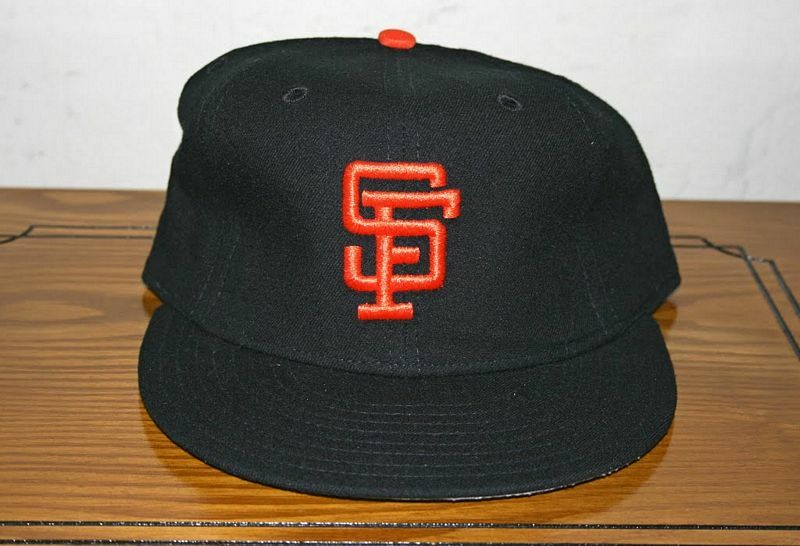 The New York Giants moved to San Francisco for the 1958 season. 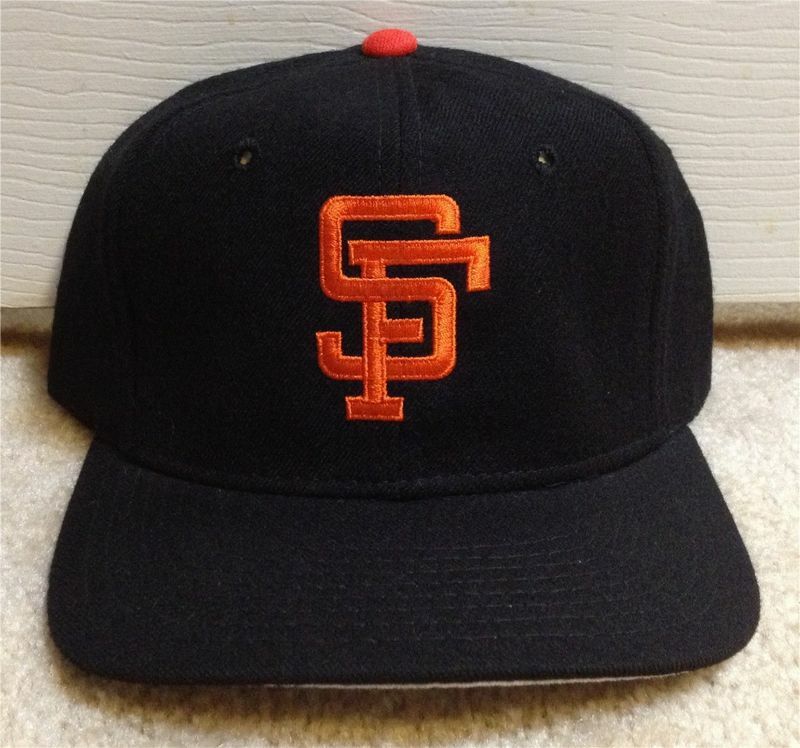 The Giants' prototype logo tried to mimic the fancy serifs on the old NY logo. However the results looked rather odd on an SF logo, so a new font was designed. 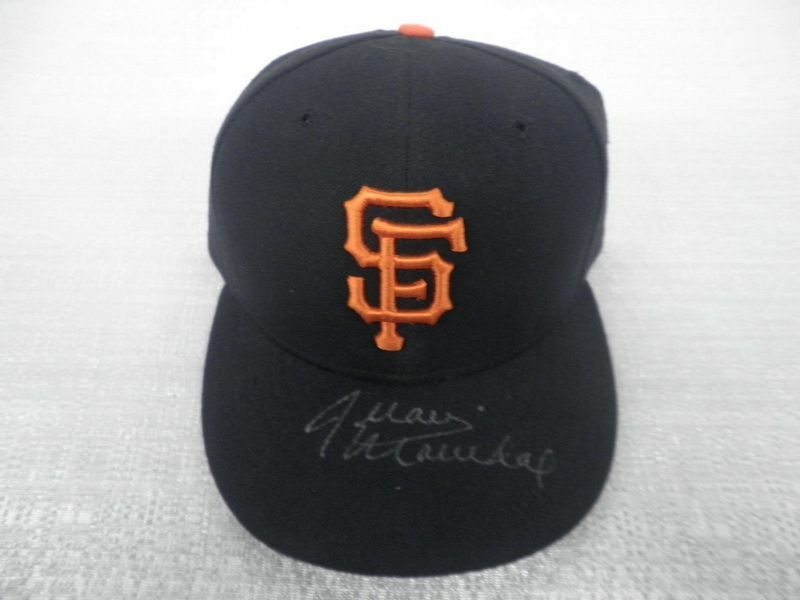 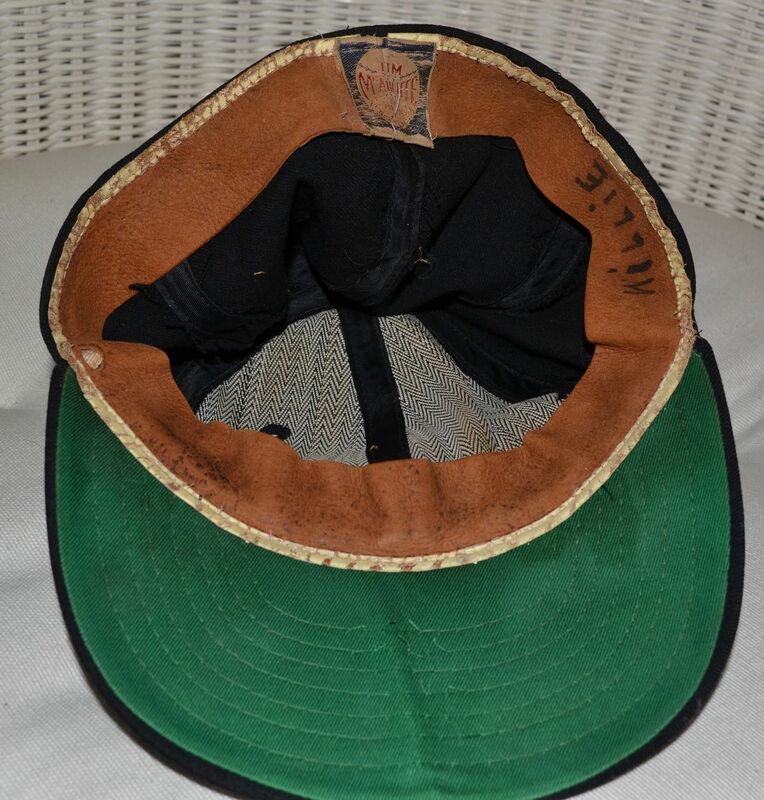 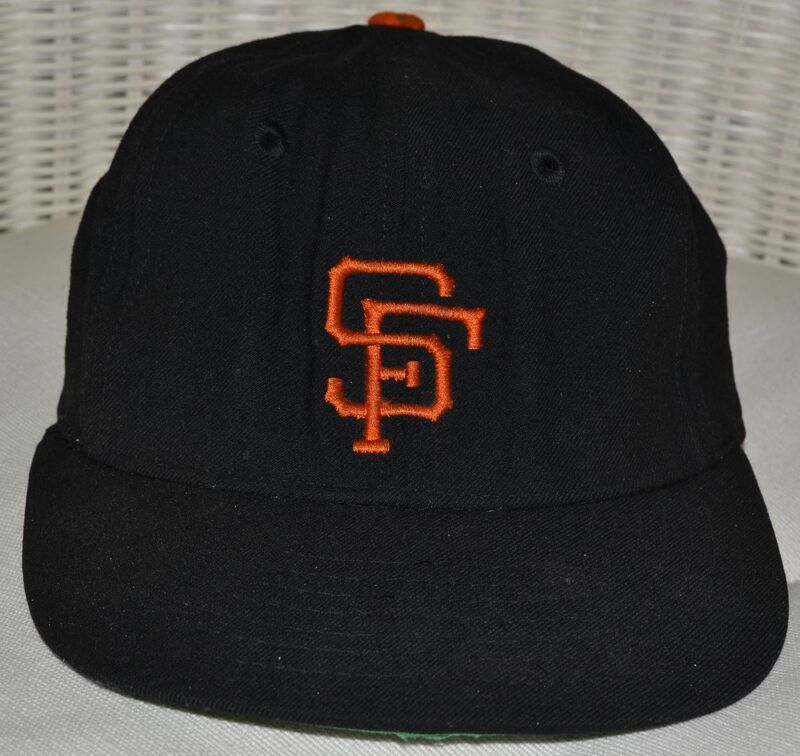 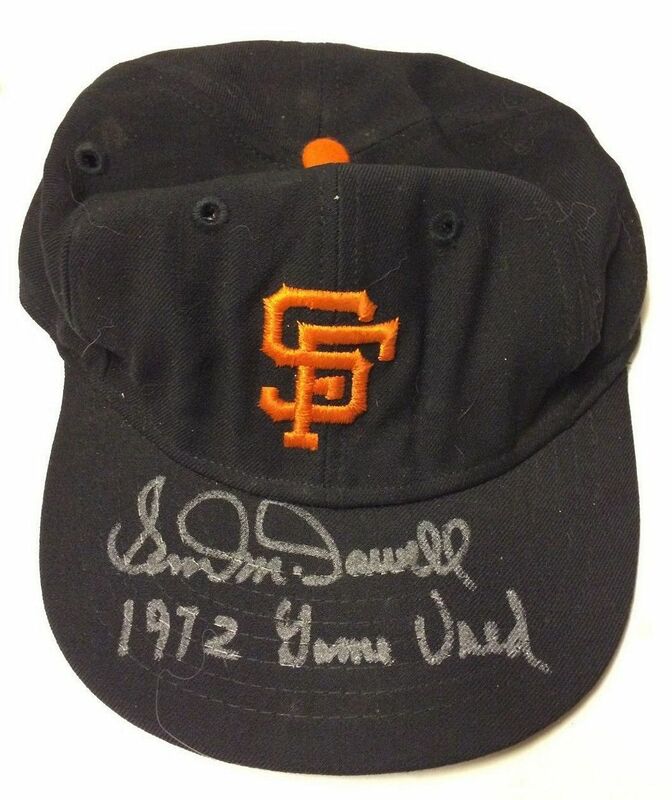 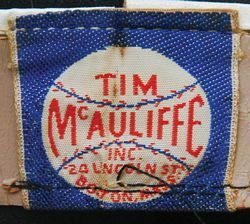 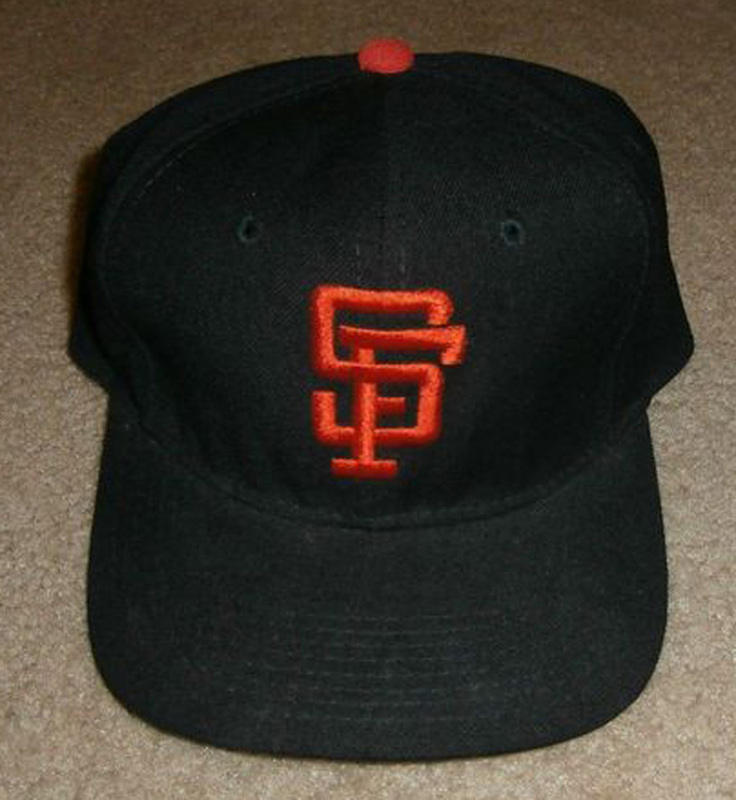 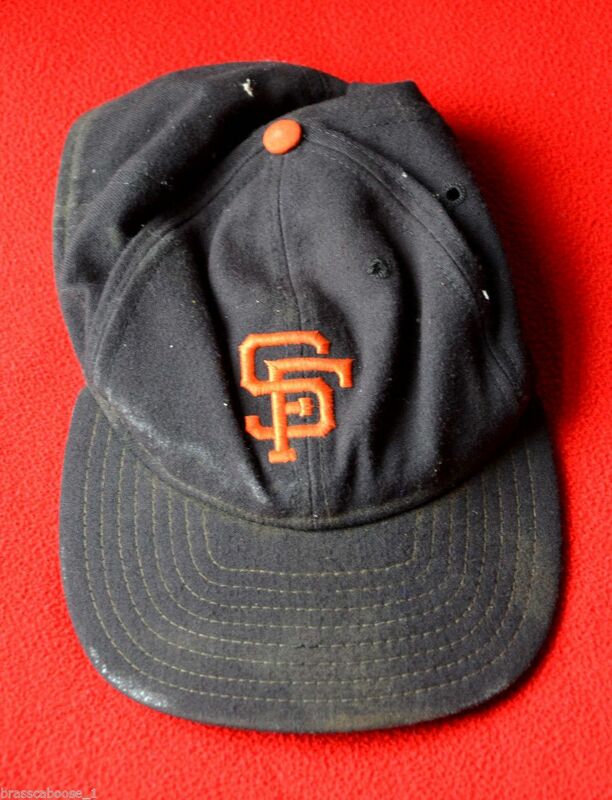 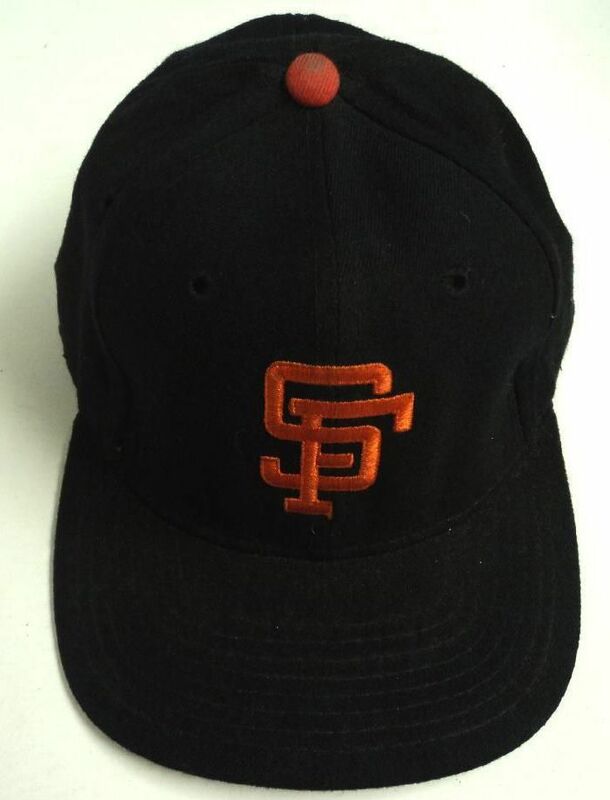 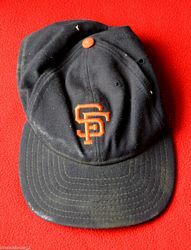 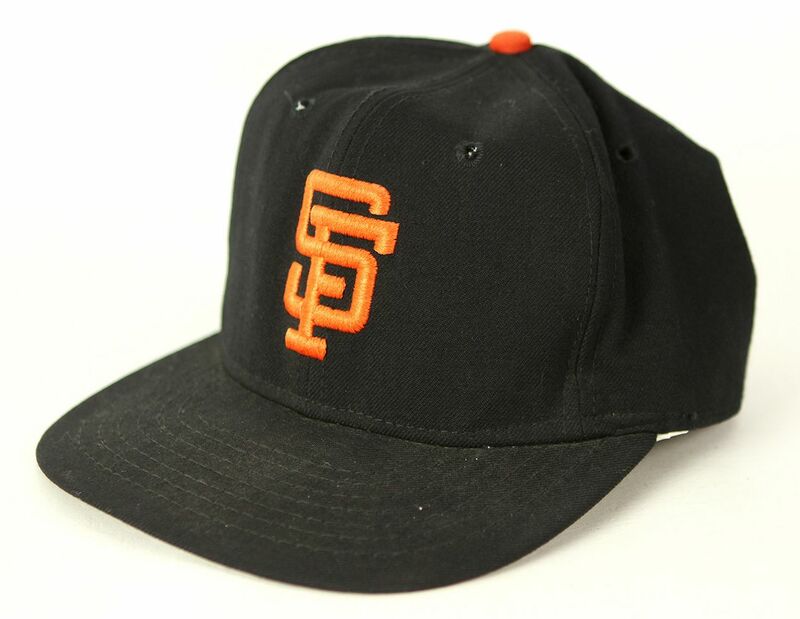 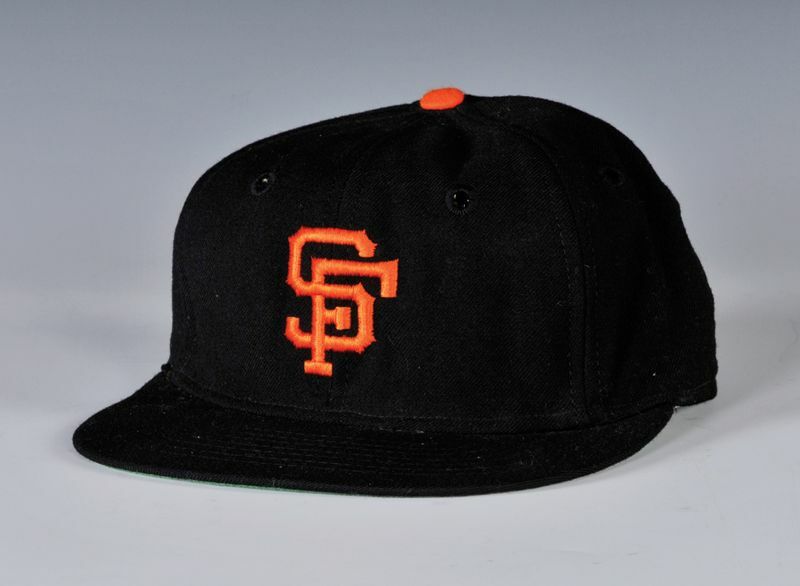 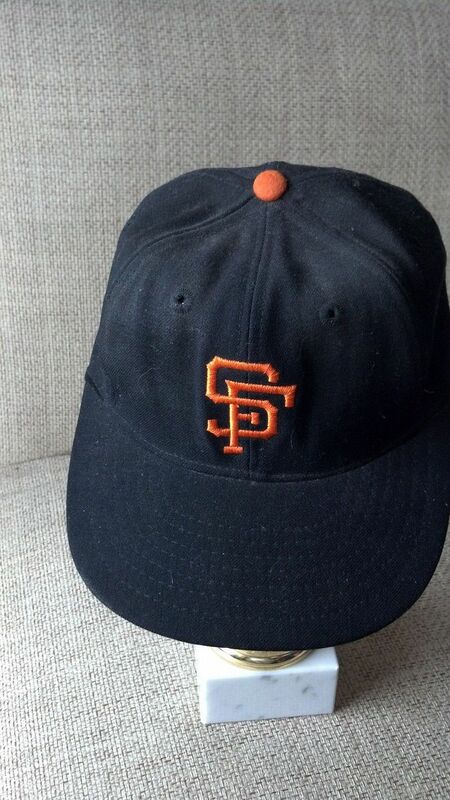 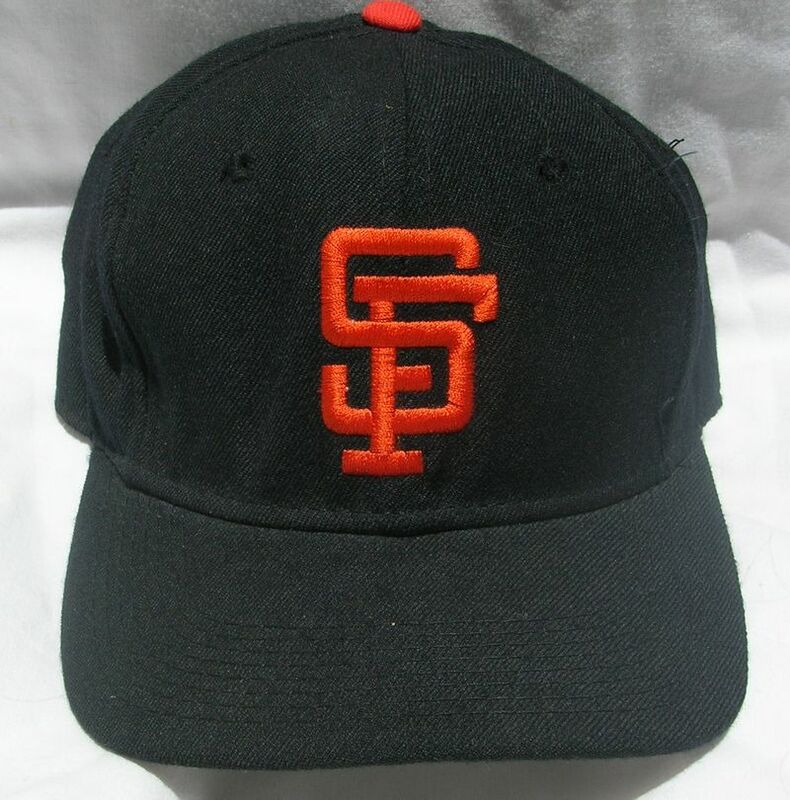 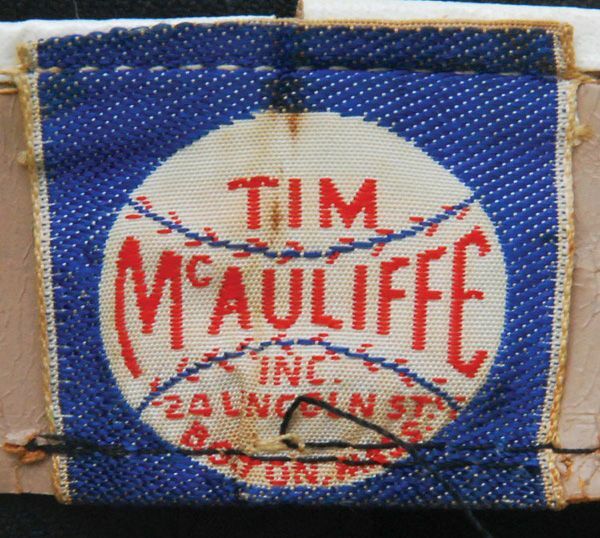 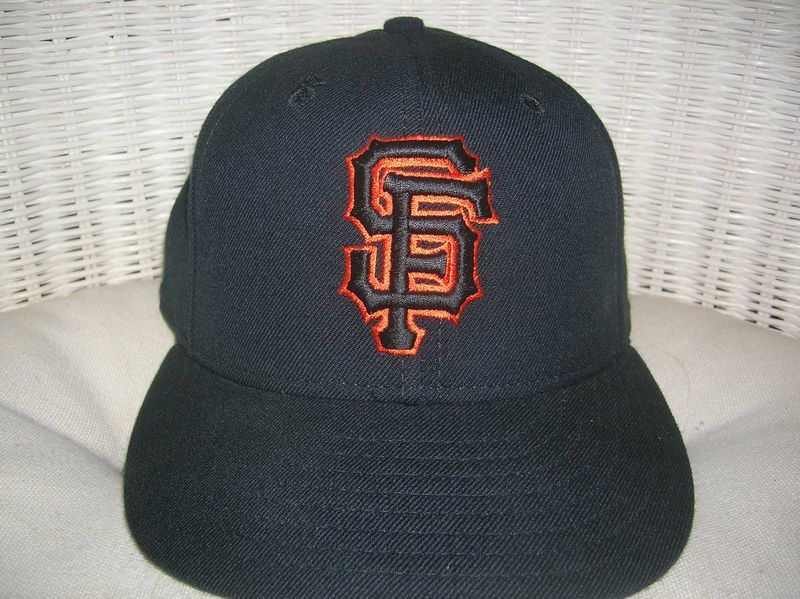 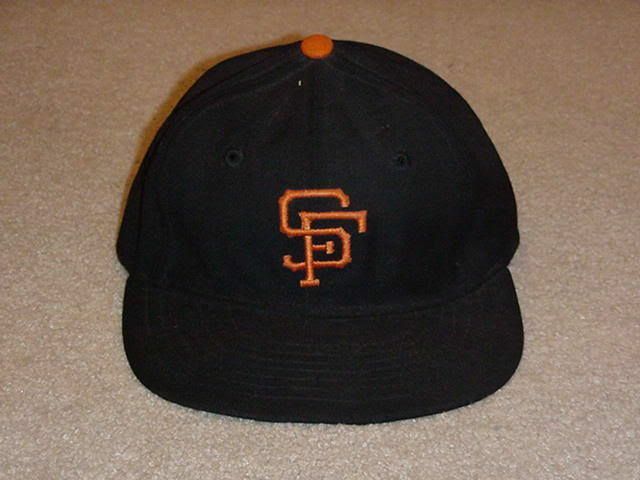 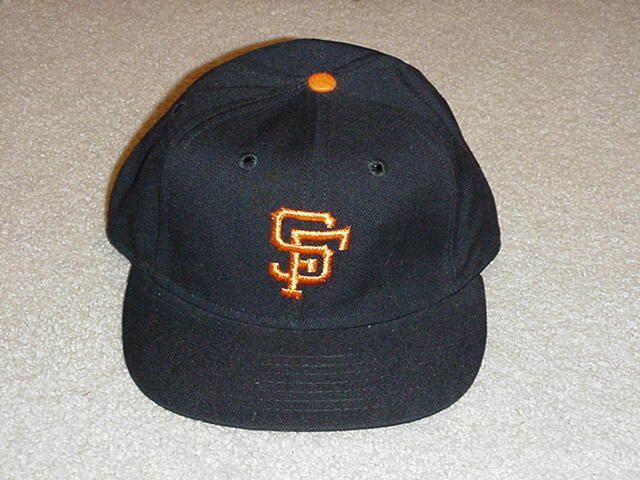 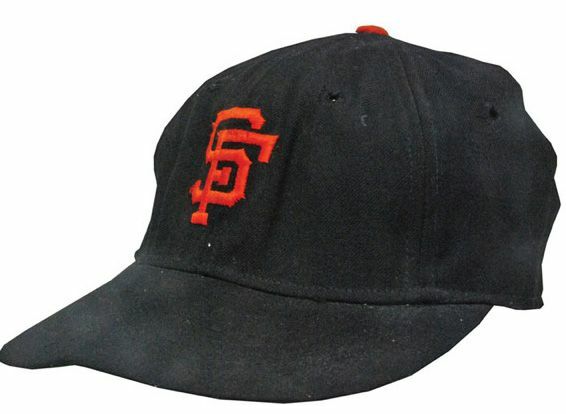 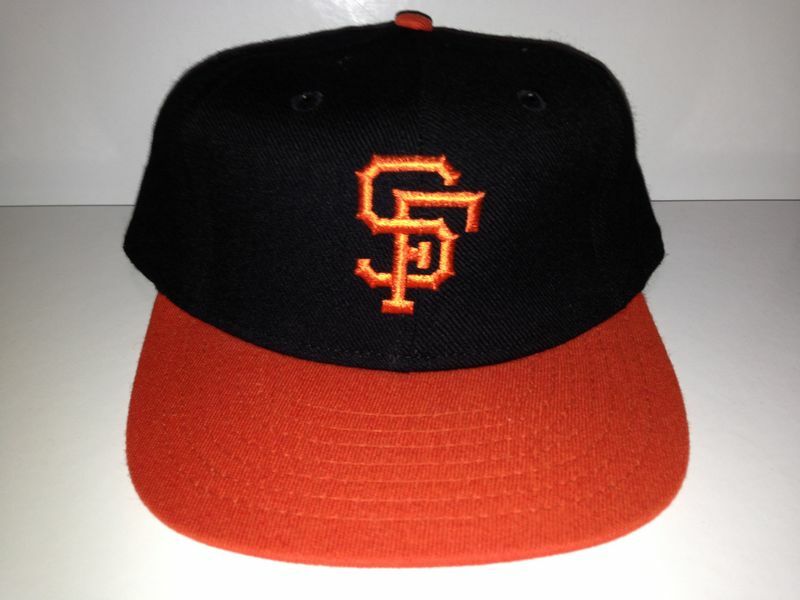 In the early 60's the Giants use McAuliffe and New Era caps interchangeably. 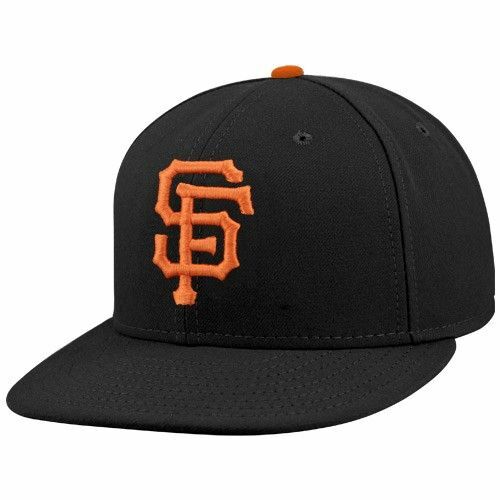 The letters get a bit thicker and the logo width a bit smaller. 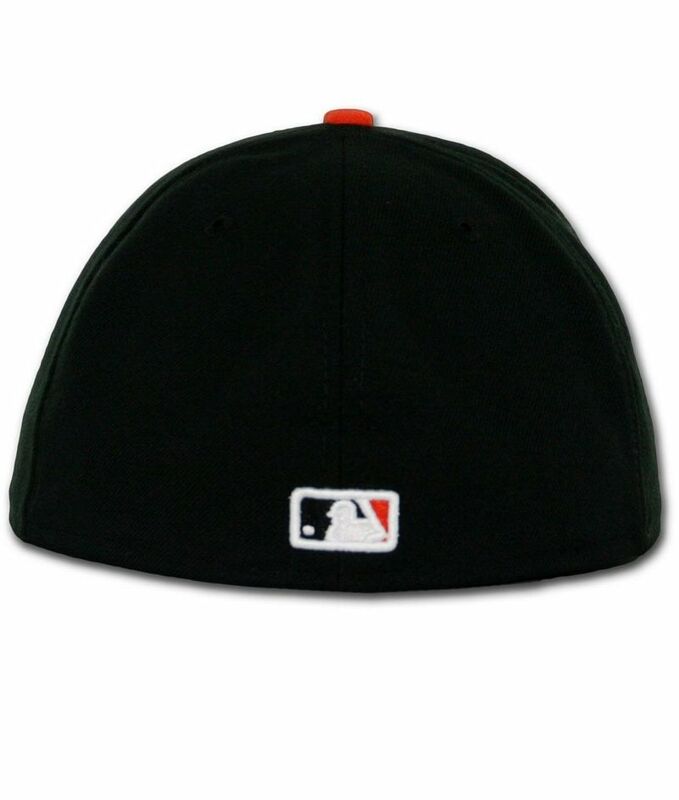 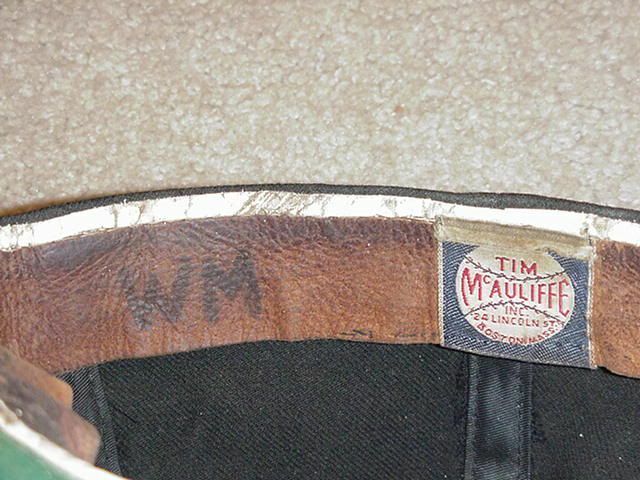 Interestingly, some New Era caps have a McAuliffe-style logo. 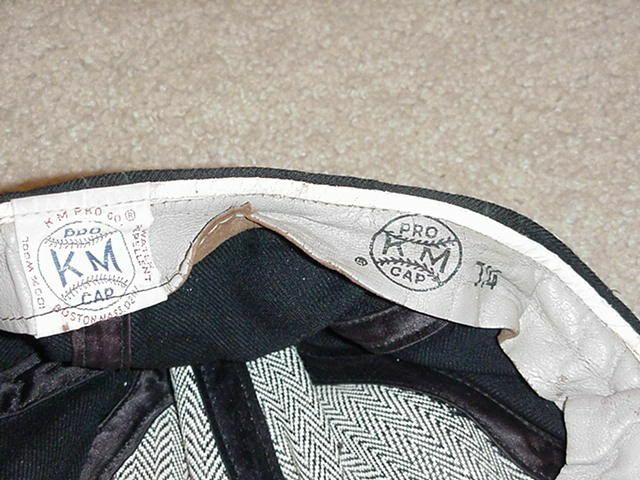 Some caps have raised logos. Grey undervisors are probably tried out in the early 1970's, but by 1973 are all caps have them. 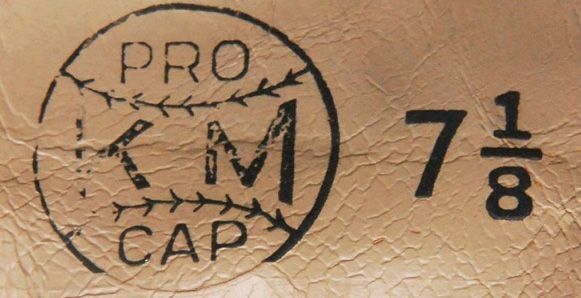 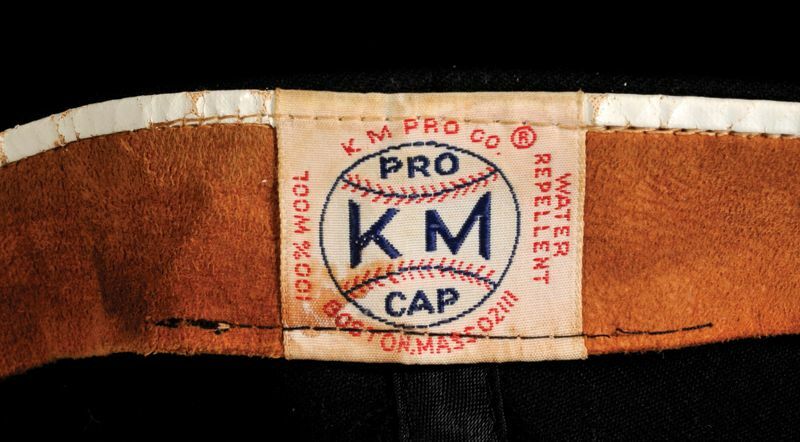 KM Pro closed after the 1976 season. 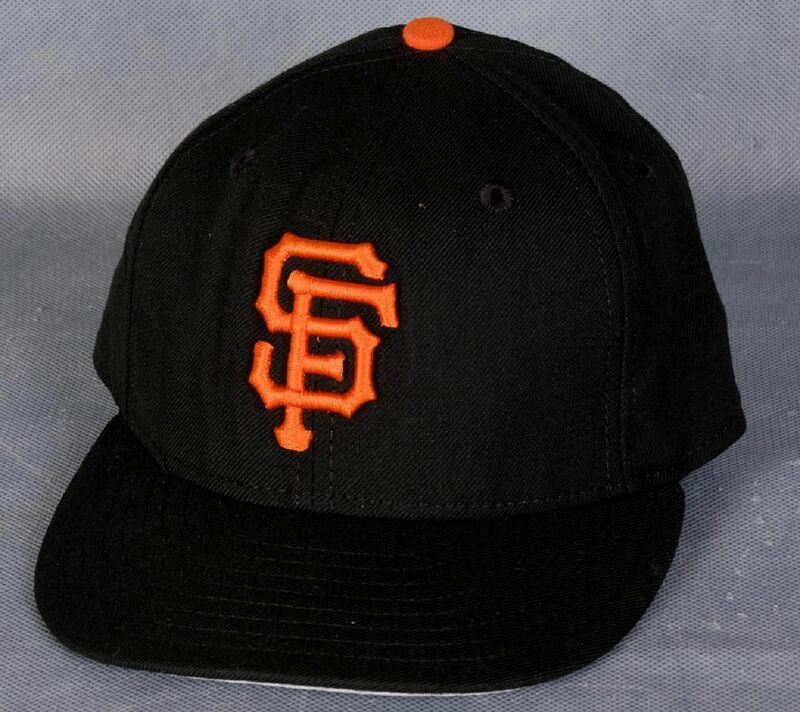 The Giants switch to New Era. 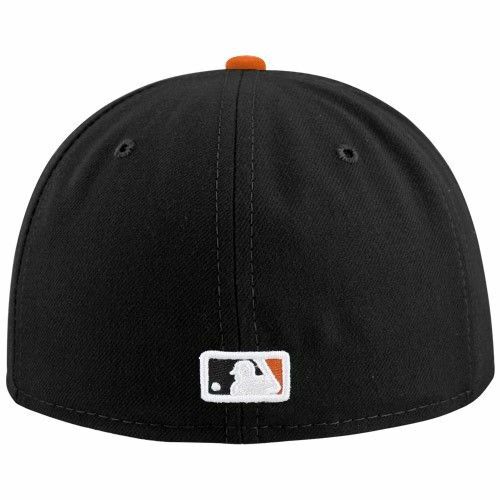 Cap visors switch to orange and the logo is revised. 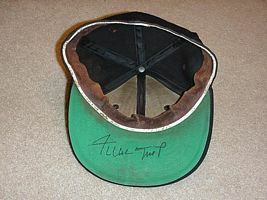 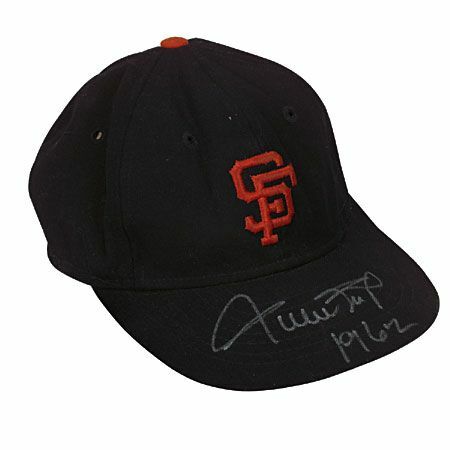 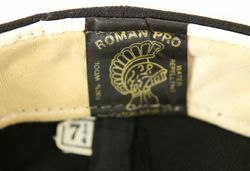 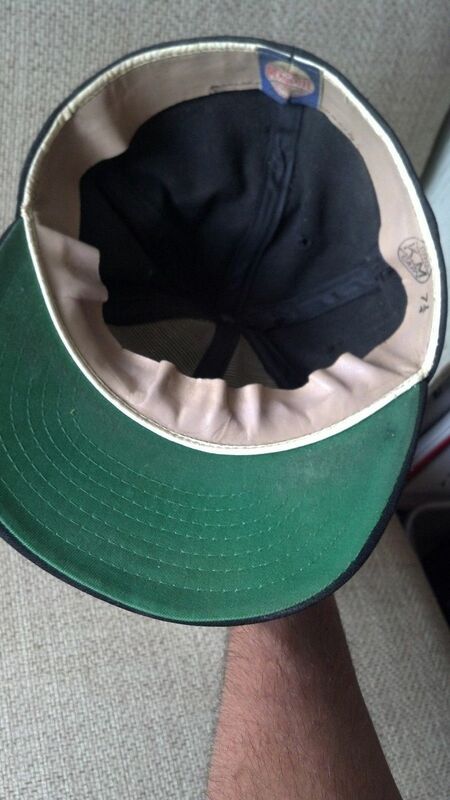 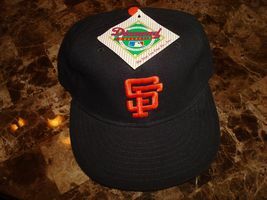 The Giants did NOT wear this Roman Pro cap on the field. 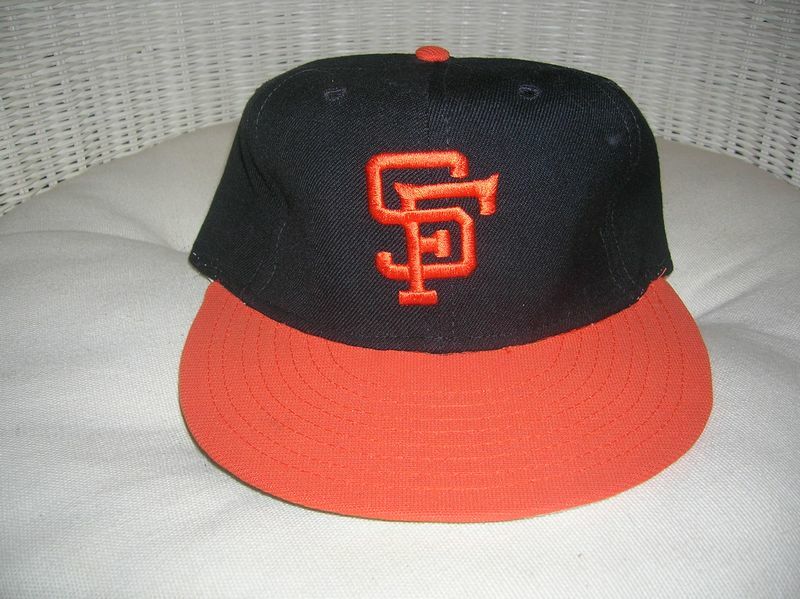 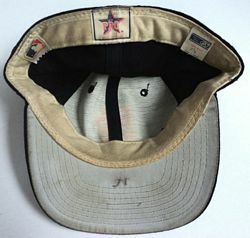 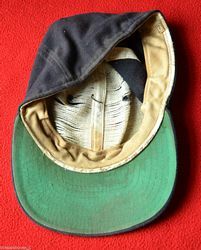 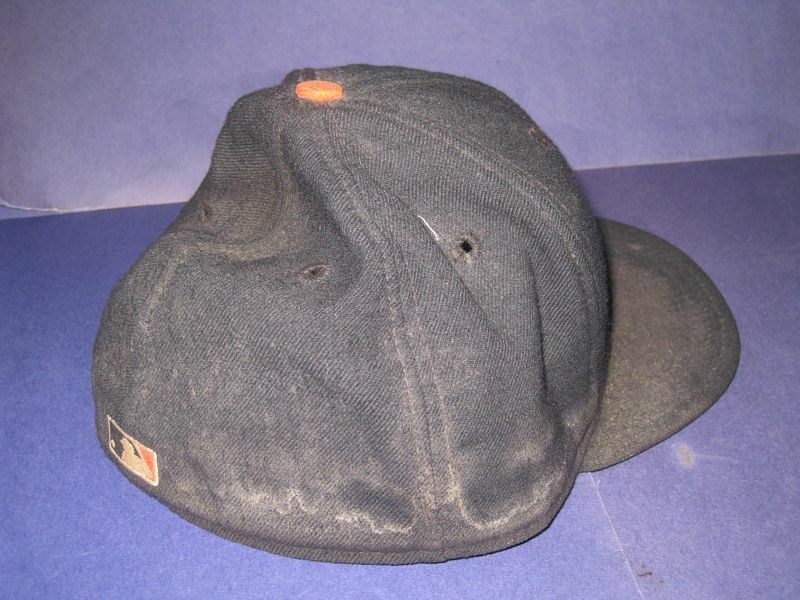 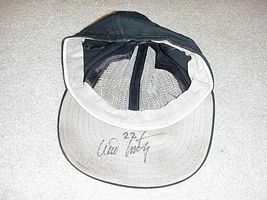 It's wrong - a late 60's-early 70's style logo on a late 70's-early 80's style cap. 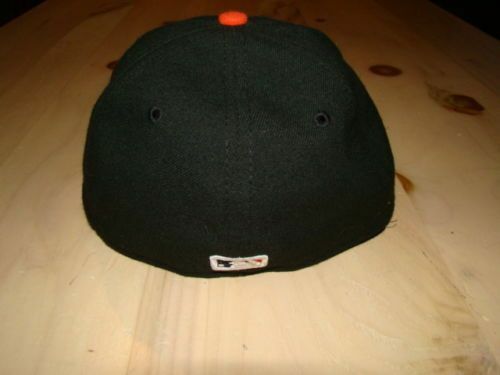 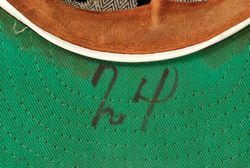 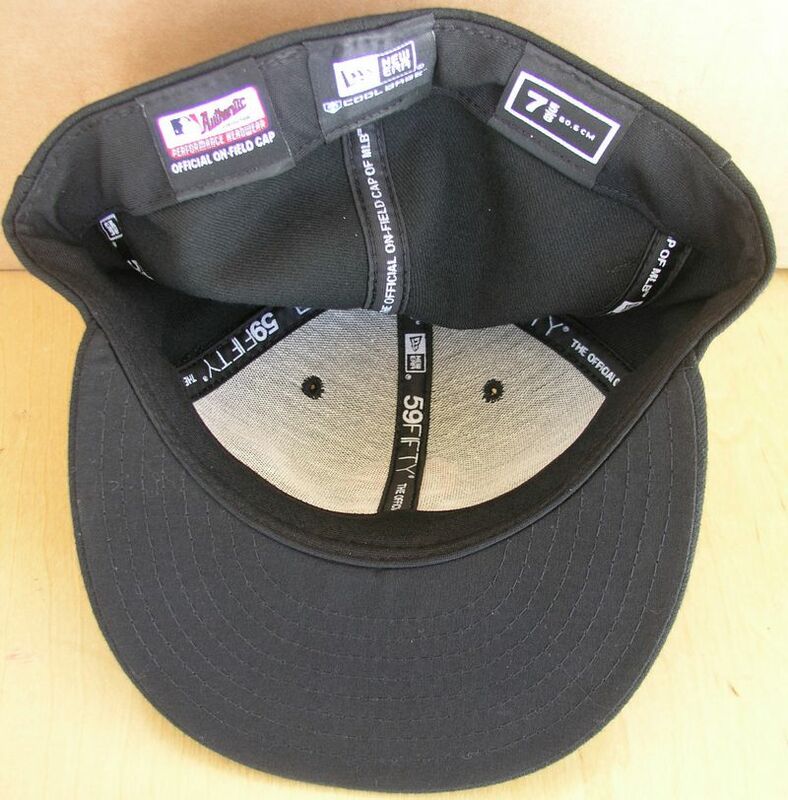 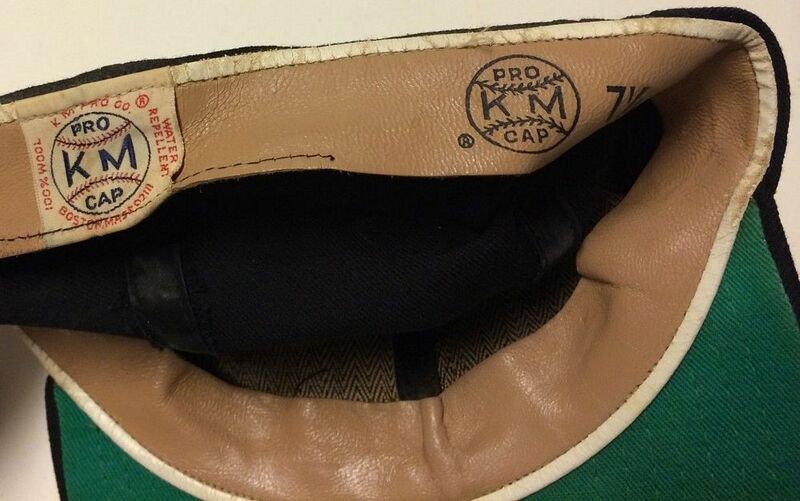 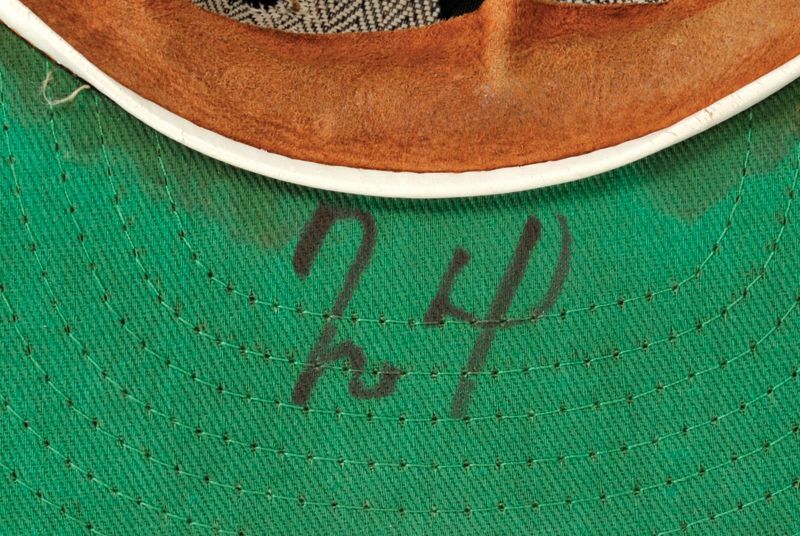 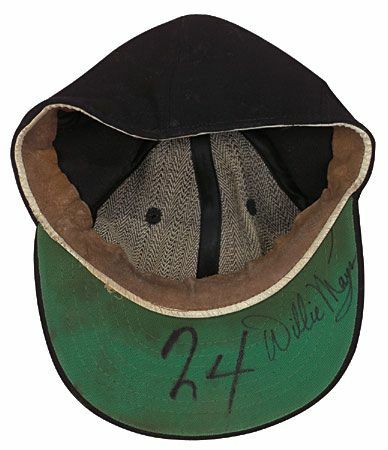 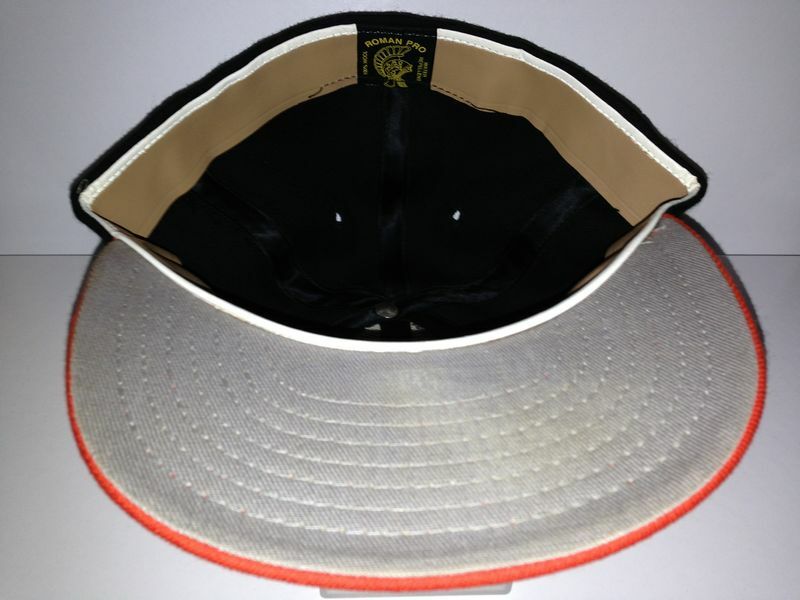 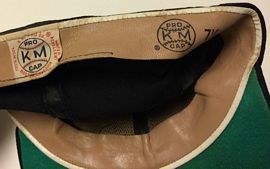 There are also some New Era caps from this timeframe with green undervisors - THOSE ARE RETAIL CAPS ONLY, NOT ON-FIELD. 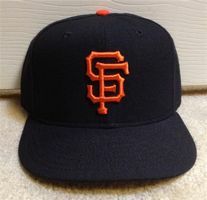 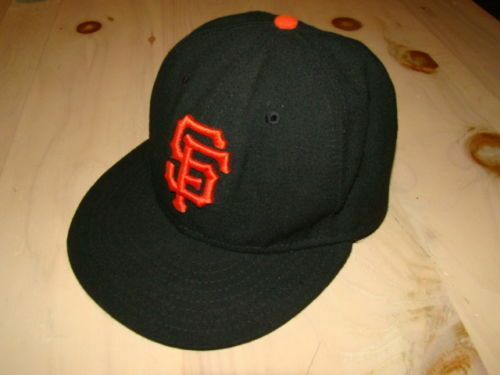 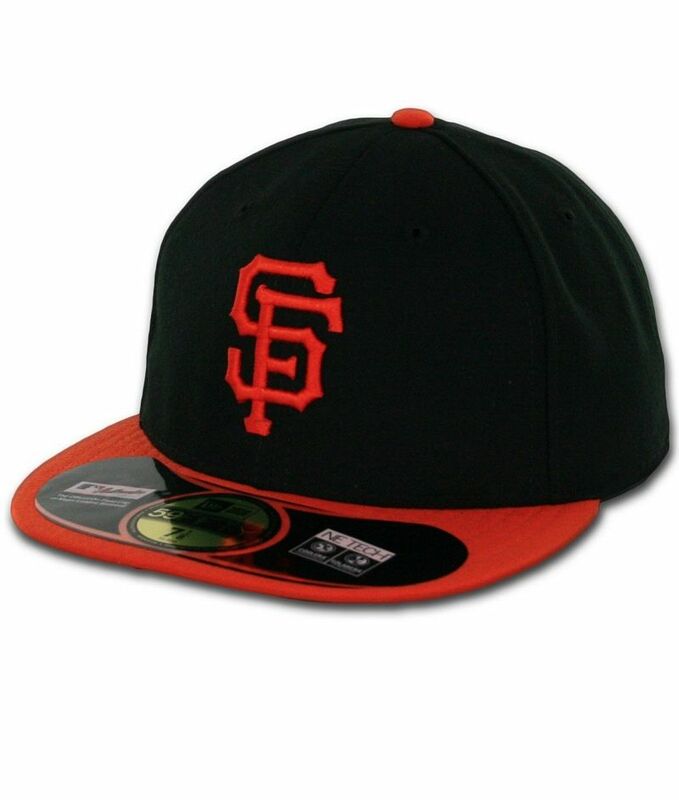 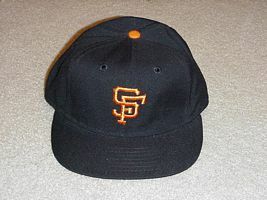 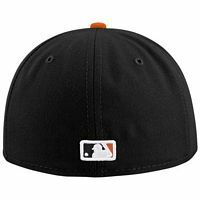 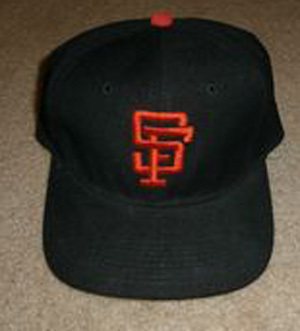 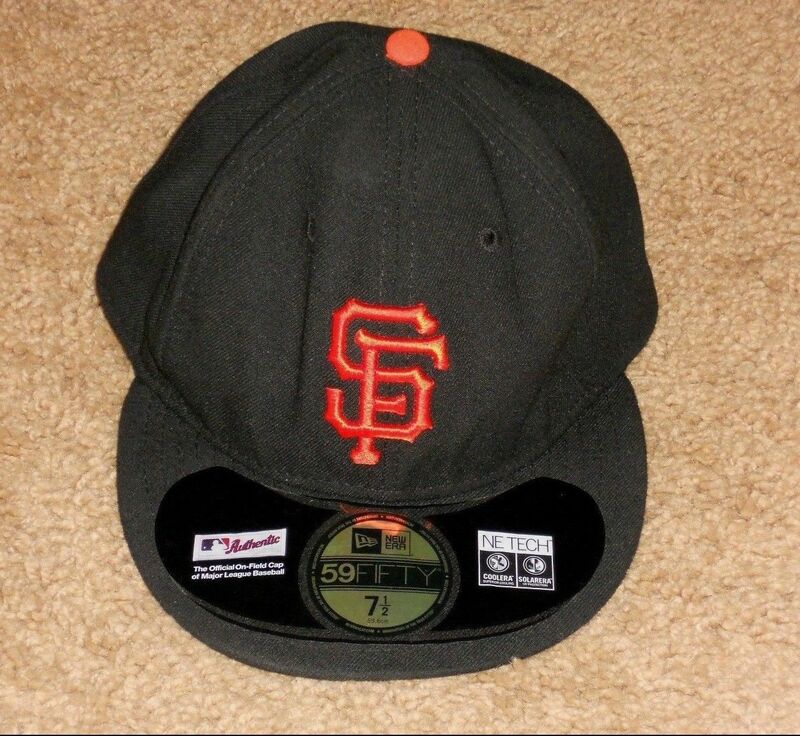 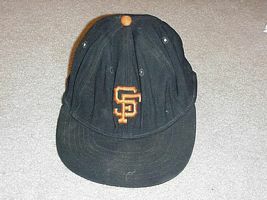 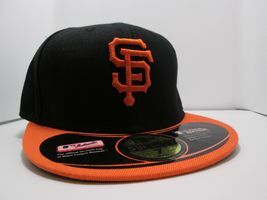 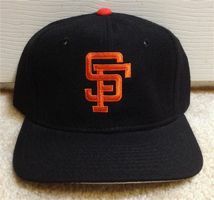 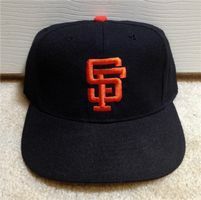 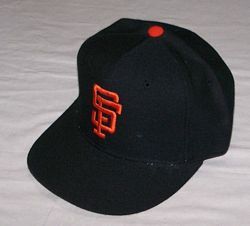 The Giants return to all-black, all-wool caps and traditional jerseys and tweek the logo (more rounded and note the F). 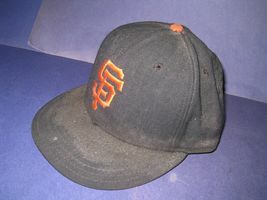 The Giants alternate between New Era and Sports Specialties. 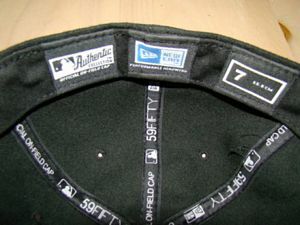 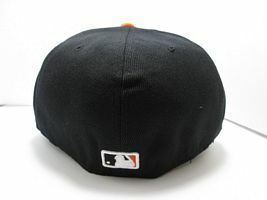 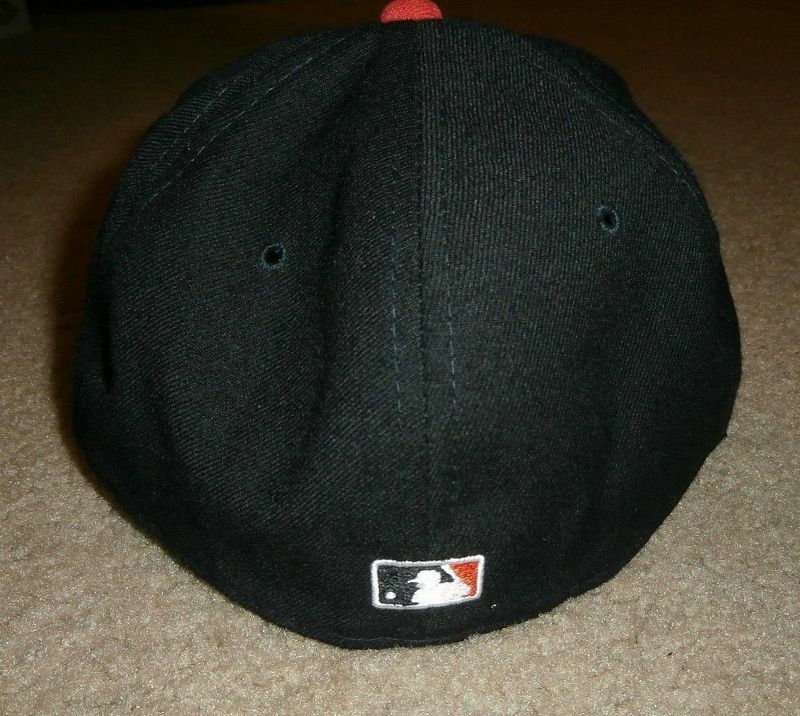 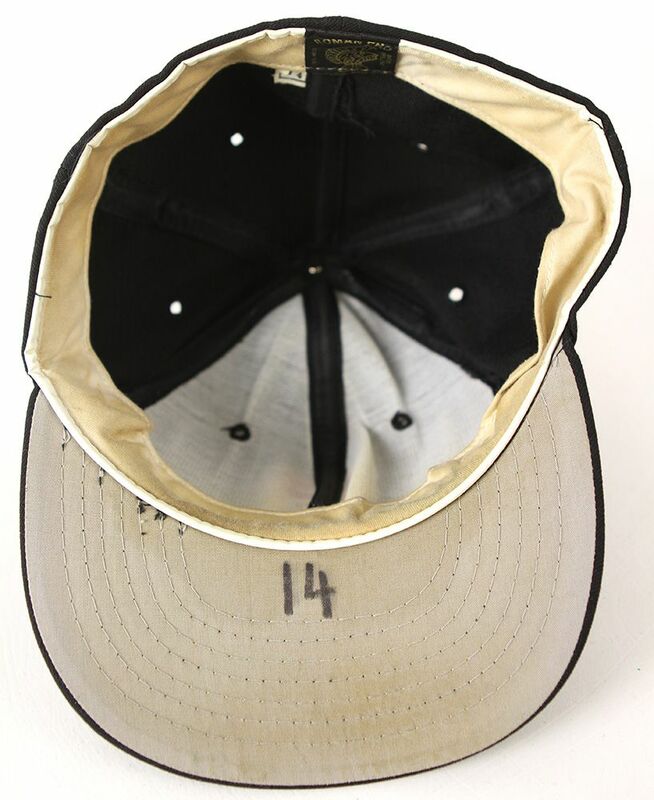 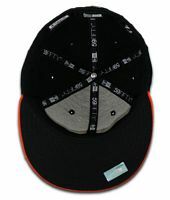 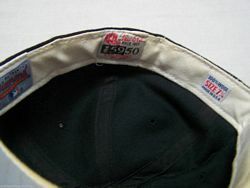 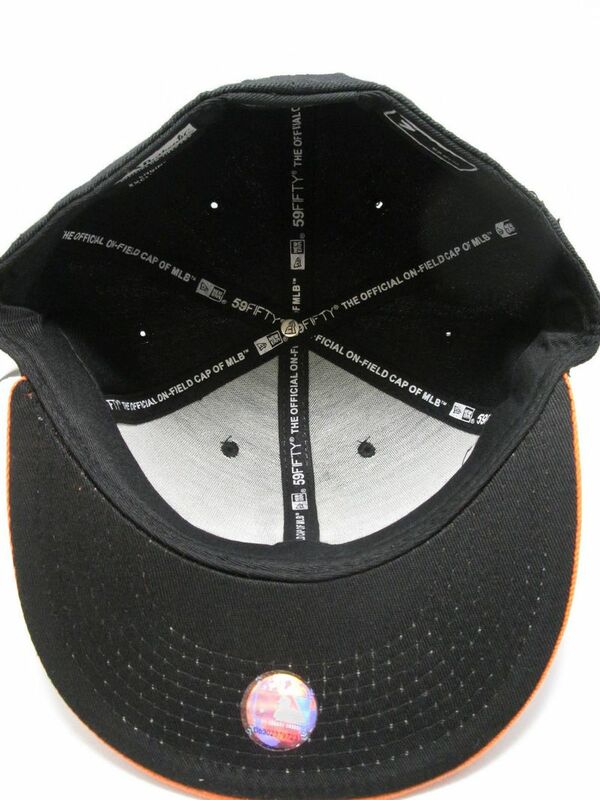 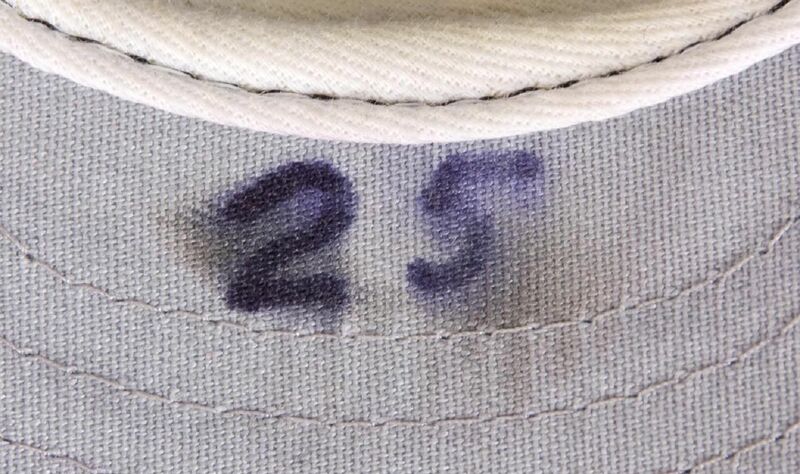 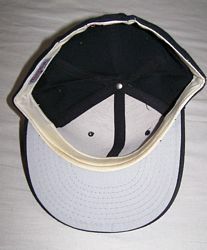 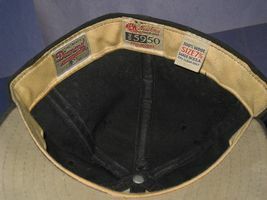 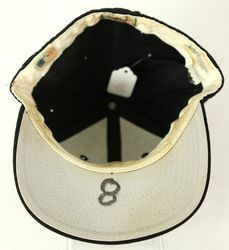 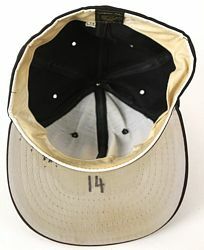 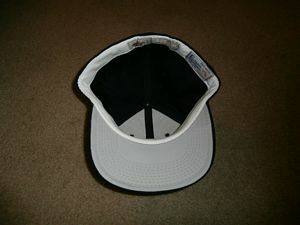 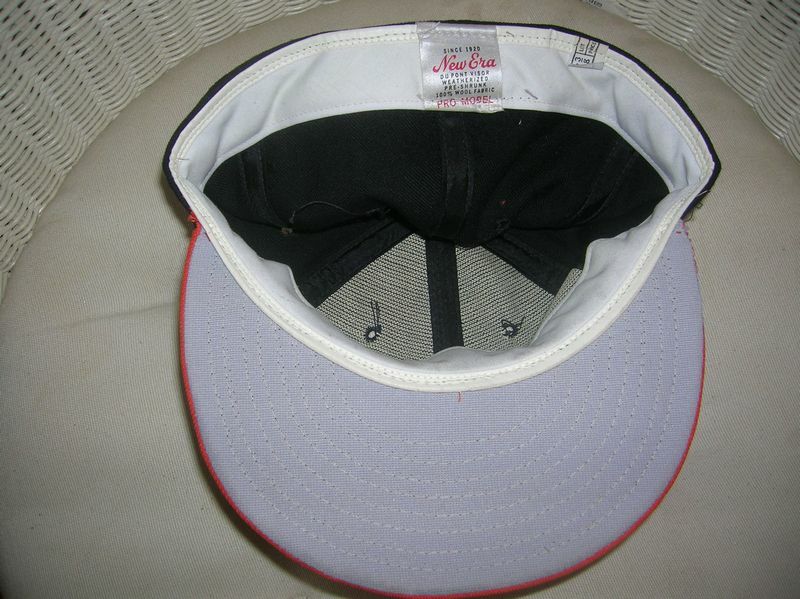 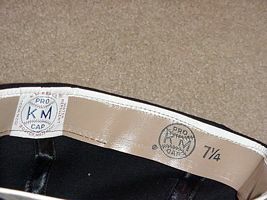 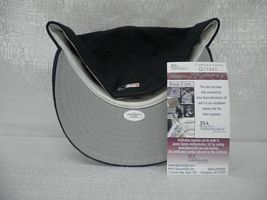 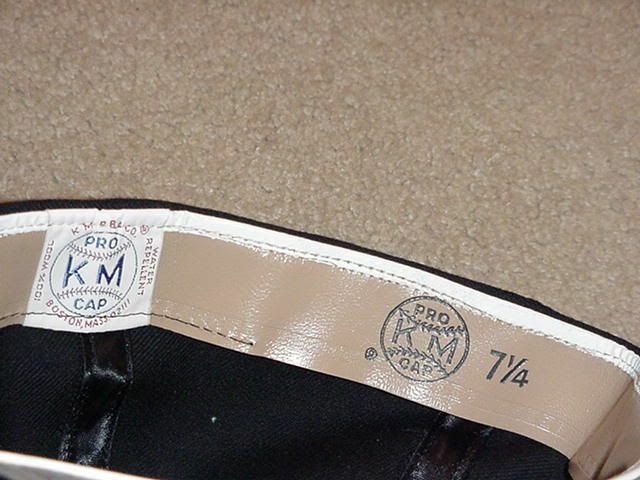 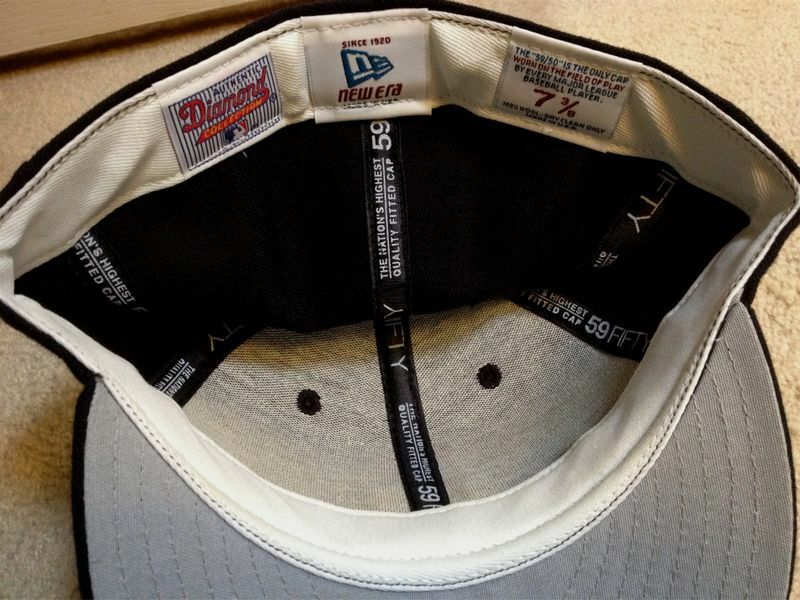 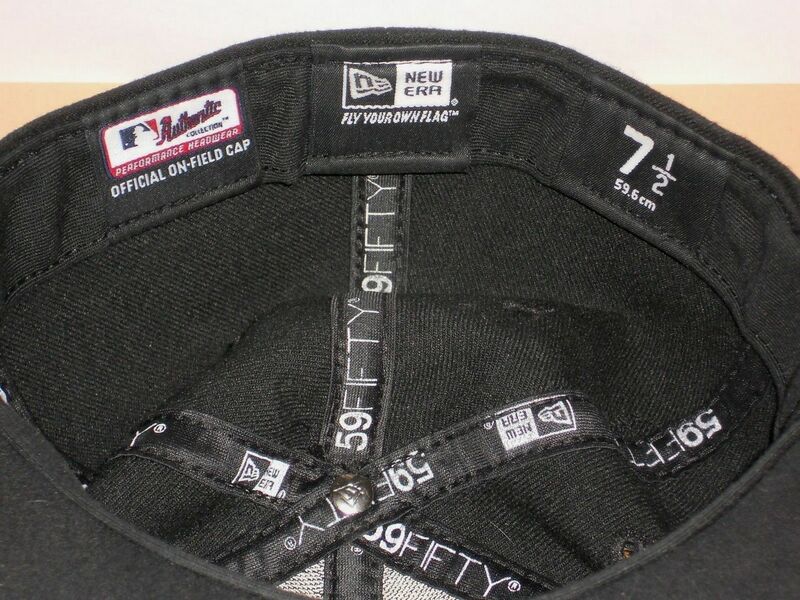 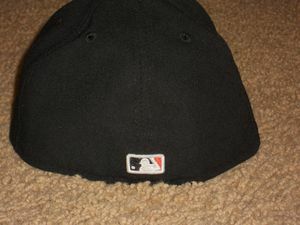 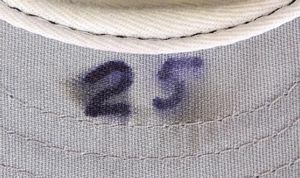 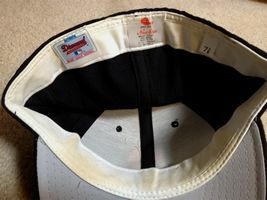 Letters are initially sewn onto the cap. 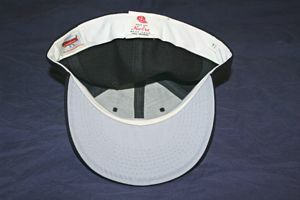 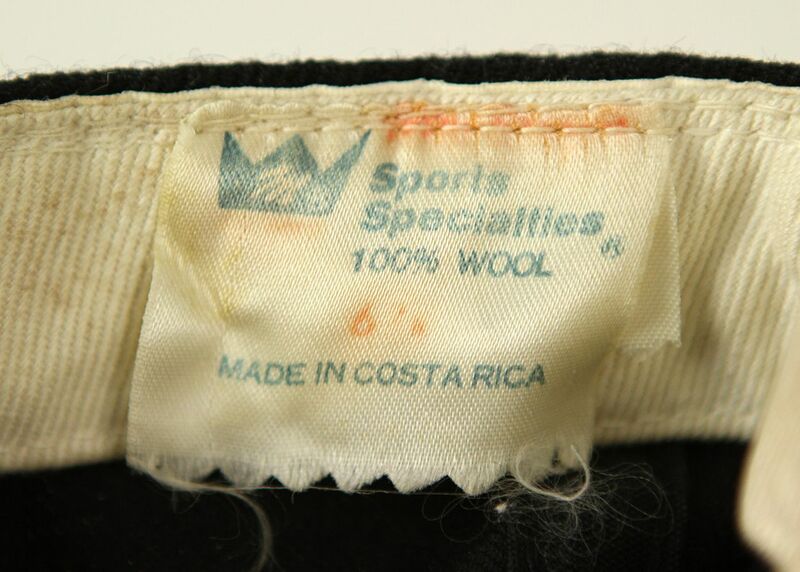 By 1989 Sports Specialties logos are embroidered directly. 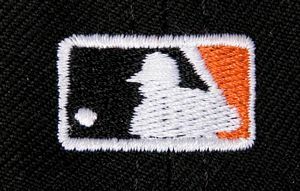 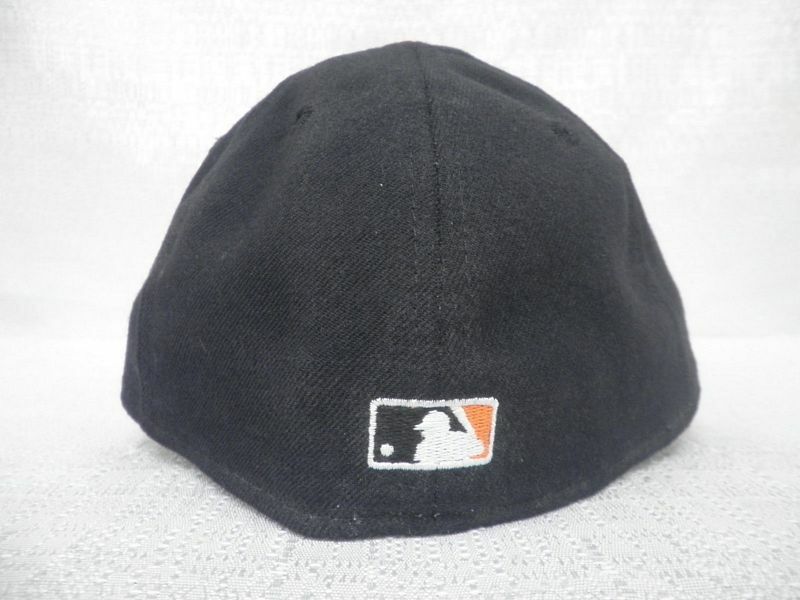 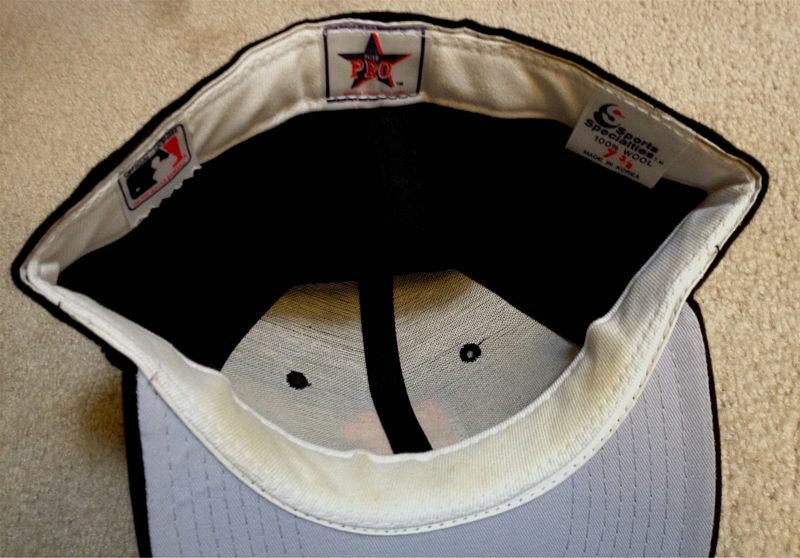 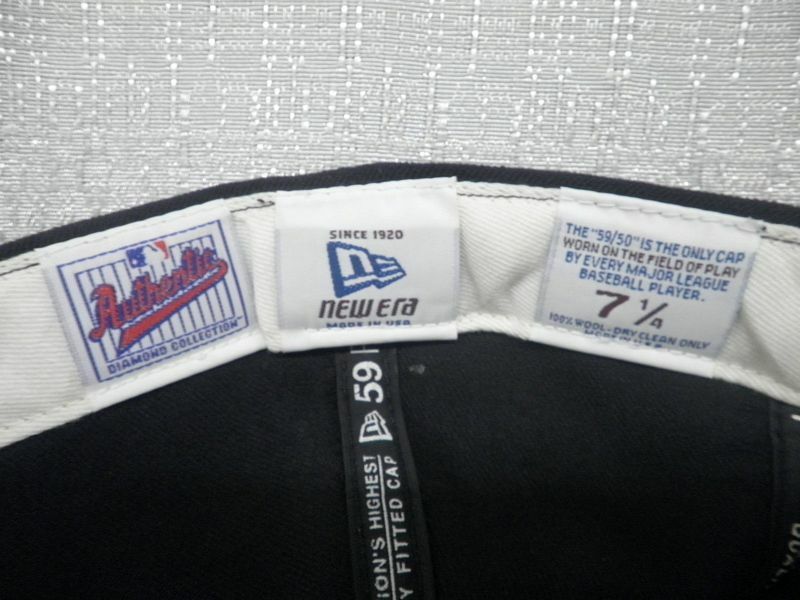 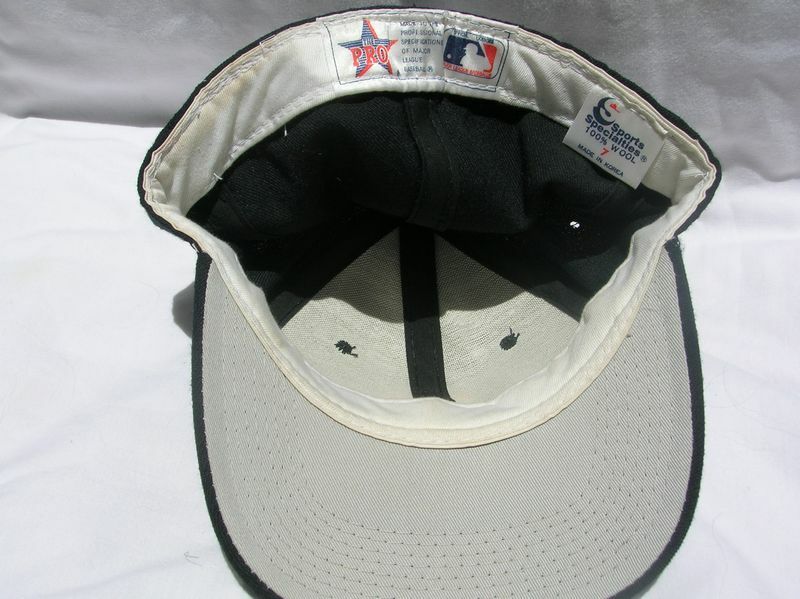 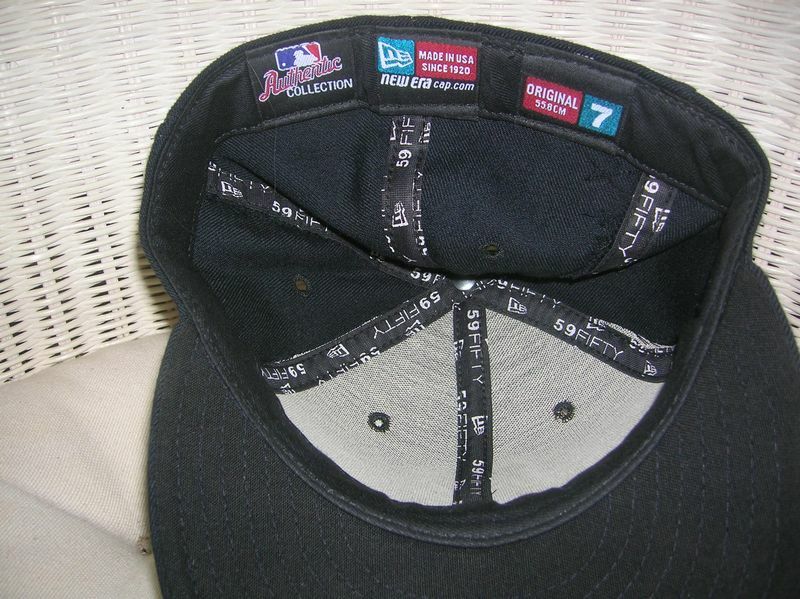 In 1992, MLB logos are initially glued on the back, then embroidered later on in the season. 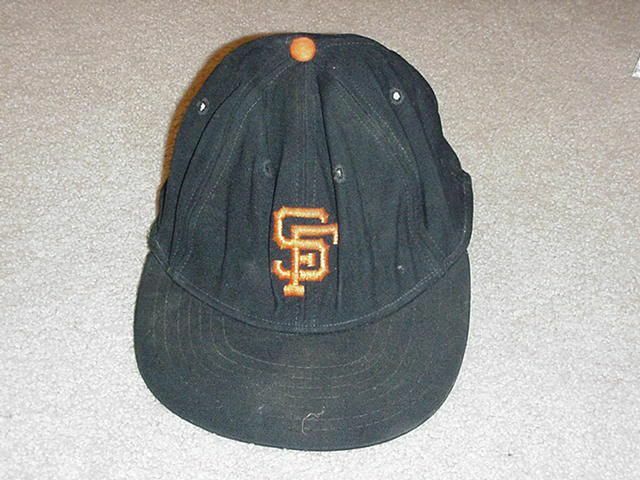 In 2001 a black alternate cap debuts. 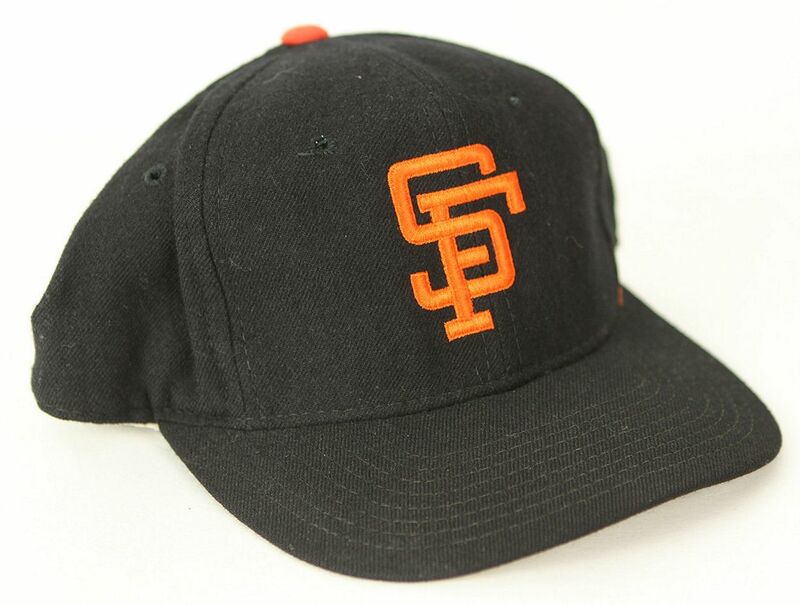 The Giants are early adopters of black undervisors. 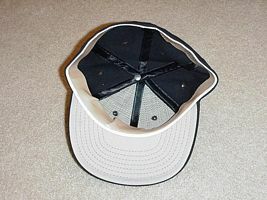 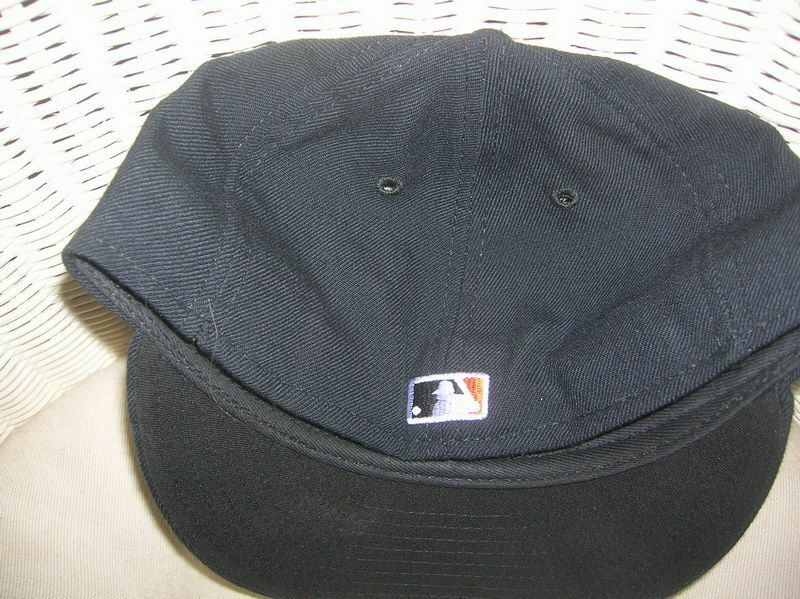 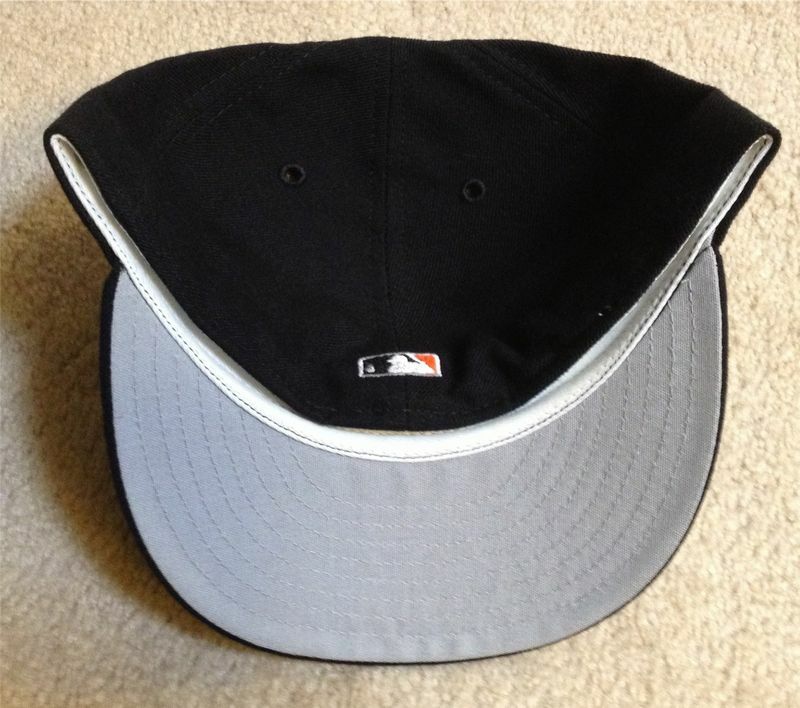 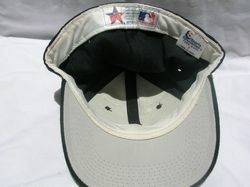 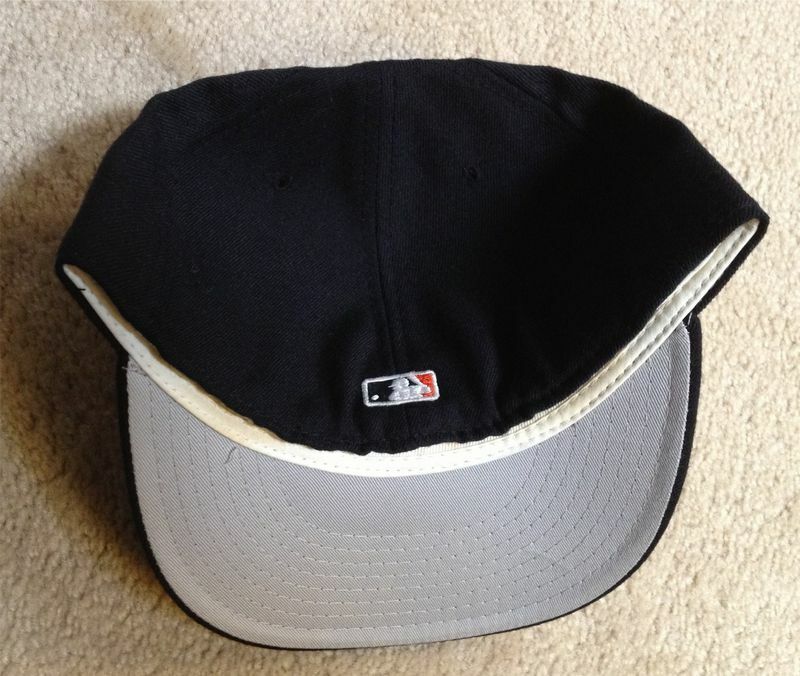 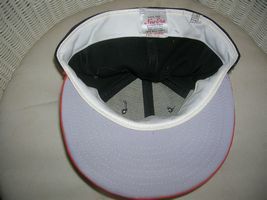 Caps go polyester with black underbrims. 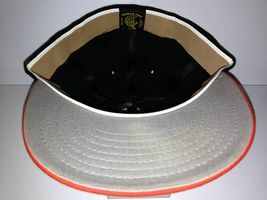 The team brings back an orange visor cap as its alternate.